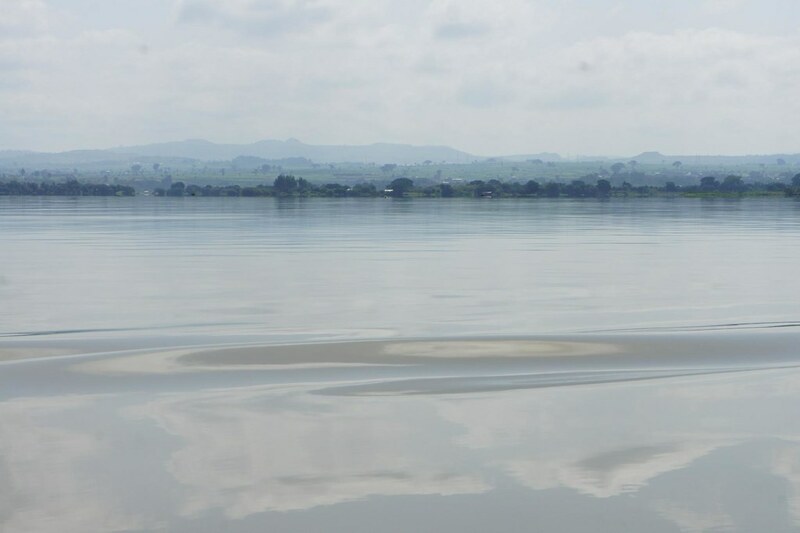 With a relaxed air, a vast lake dotted with ancient island monasteries and several good lodge options, Bahir Dar is a great place to start or finish a trip in Ethiopia. 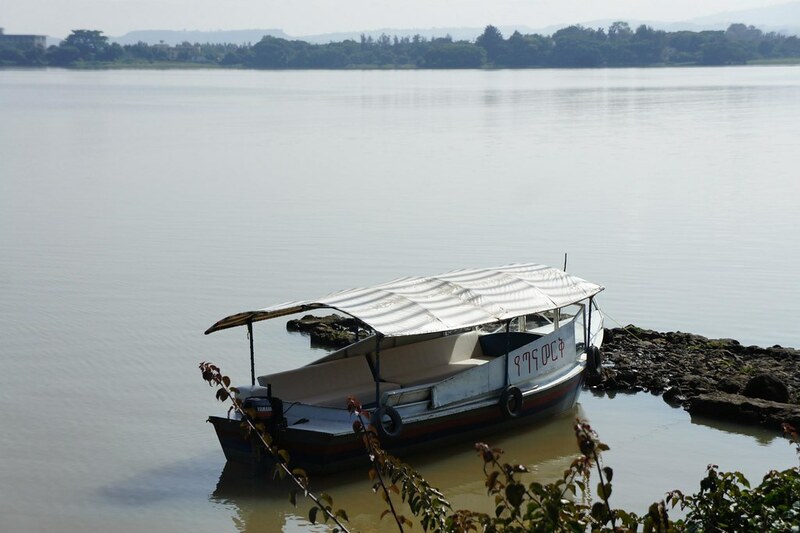 Bahir Dar sits on the Southern shore of Lake Tana, source of the Blue Nile and the largest lake in Ethiopia. The highlight of a visit is a boat trip out to the Island monasteries, built in the late 16th and 17th Centuries. It is believed that their isolated position was to protect from attack by Muslim invaders. There are over 30 in total, but you only need see a couple to capture the magic of the place. 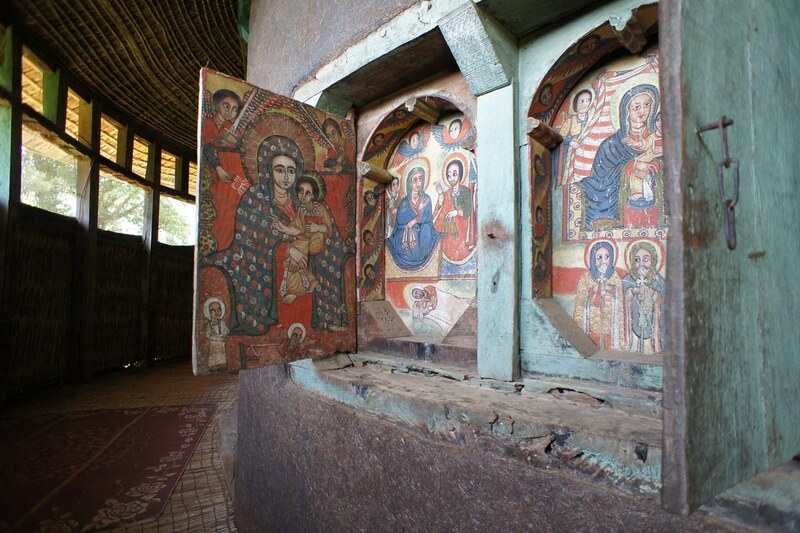 Ura Kidane Merit is one of the most famous and if you can handle the souvenir stalls on the 15 minute walk up to the monastery the artwork and light in the church is superb. Kebran Gabriel (17th Century) is one of the most atmospheric churches, but unfortunately only men are allowed to enter. An hour’s drive from town (on an albeit awful road) are the Blue Nile Falls. Don’t listen to the nay-sayers who claim their majesty has been dampened by the hydro-electric scheme, the falls are still majestic and amongst the best in Africa, particularly during the rainy season (July – end of September). In the dry season, the water still flows and it is possible to do a nice boat trip and walk to the base of the falls. 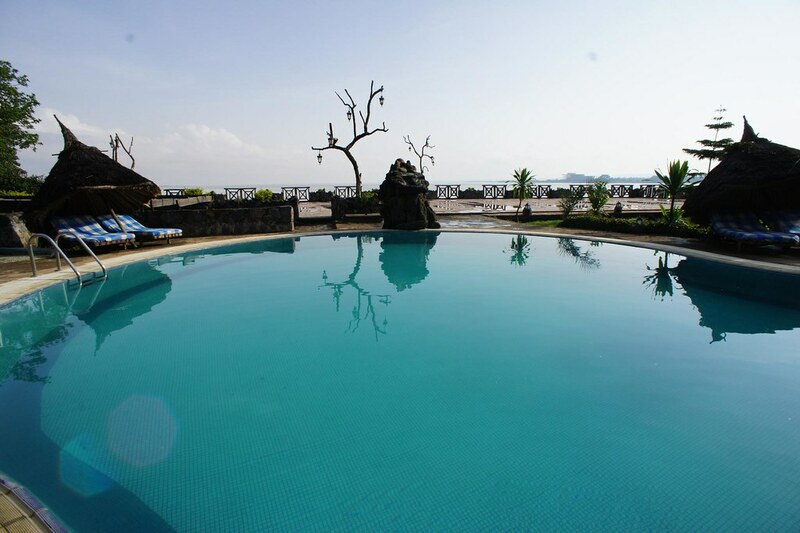 Lake Tana has some comparatively superb accommodation options. The Kuriftu Spa on the shores of the Lake, is always a very welcome rest point in a busy itinerary, with the pool, spa and relaxing atmosphere a welcome contrast.